If ever there was a case that talent runs in the family this is it. Beyoncé and Solange and Brandy and Ray J are just a few of the famous singers that are related. 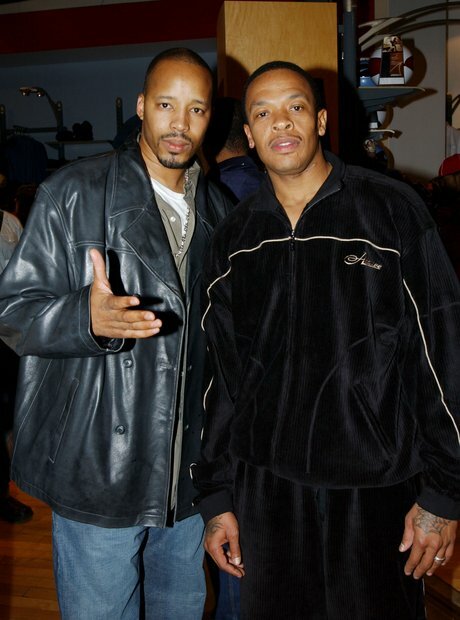 Dr Dre and Warren G became steps brothers when Dre's mum and Warren's dad married and brought the families together. It's actually through Warren G that Dre met Snoop and signed him, as Snoop originally worked with Warren G and Nate G.
Yes, that is Monica from Brandy & Monica! And it turns out she is pretty loosely related to one of our favourite rappers, Ludacris. How? Brace yourselves: her mum's second husband is Ludacris' Uncle, the Reverend Edward Best. Catch the two of them working together on Ludacris' track 'Ocean Skies'. 3. Beyonce and Solange Knowles. Beyoncé isn't the only Knowles that has found success in the music industry. Although Bey wears the crown, Solange has released some great tracks (listen to 'Losing You') and worked with big names. Although the two have been surrounded by controversy after 'that' video leaked this year, both are very close and stand by each other always. 4. Jhene Aiko and Mila J.
Jhené Aiko and Mila J are two of five sisters in the Chilombo family - although unfortunately, their sister Miyagi sadly passed away in 2012. Mila J has been making music and dancing since a very young age, and is back after taking a break from music for a while. Have a listen to her recent remix of Usher's 'Good Kisser.' You can see Mila and Jhené's other sisters (who all look strikingly similar!) in the photo on the left. Brody is Kimmy K's stepbrother after his dad Bruce married Kim's mum Kris Jenner in 1991. If you want to see some a-grade beef between the two step-siblings, check out Brody's Instagram account! We do love Gwen. Probably more than rocker Gavin Rossdale, who Gwen has been married to since 2002, and model Daisy is Gavin's daughter from a previous relationship with designer and singer, Pearl Lowe. So, to summarise; Gwen is Daisy's stepmum. That is pretty cool. If you weren't sure, Stacey was a pretty big deal in the 90's after her role in hit film, 'Clueless' (you might also recognise her from Kanye's 'All Falls Down' music video), and her first cousin Damon is a co-founder of Roc-A-Fella records. Quite the talented family, then, but it turns out that the two don't speak any more - here's to hoping they patch things up, nobody likes a fall out. Dionne is one of the most charted artists of all time, and Whitney owned *that* voice. The cousins worked together on 'Love Will Find A Way', which featured on Dionne's 1993 album 'Friends Can Be Lovers'. So it turns out music really does run in K-Ci and Jojo's family, as 'Queen of Rock Soul' Fantasia is a cousin of the duo, who are brothers in every sense of the word. They're yet to work together in the studio though. 14. Chance The Rapper and Taylor Bennet. 15. Nas and Jabari 'Jungle' Fret.